In Surah Al-Nahl (16:90), Allah, Al-Nafi’ (The Source of All Good), provides a thorough explanation and comprehensive picture of Islamic social, humanitarian and ethical teachings. We are commanded to be just, kind, good, benevolent, forgiving and generous to people and our family. 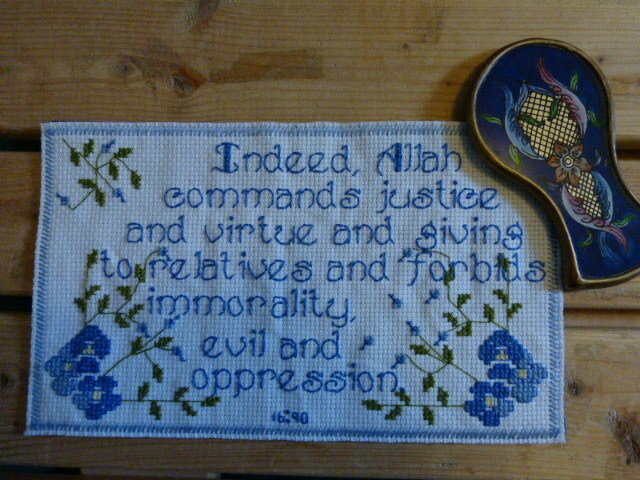 Then our Lord tells us what is forbidden: immorality, evil and oppression. These include: shameful behaviour and lewdness, whether latent and secret or overt and open; insolence and rude behaviour; and rebelliousness, tyranny and oppression. Allaha Yamaru (Allah Commands) these three principles of justice, kindness and goodness and generosity and forbids these three deviations of lewdness, rude behaviour and oppression to assist us in creating a world of quiet peace, devoid of calamities and corruption. Overall, this ayat is like a bill of rights for humanity and what it contains is valued and encouraged by all religious people in the world.